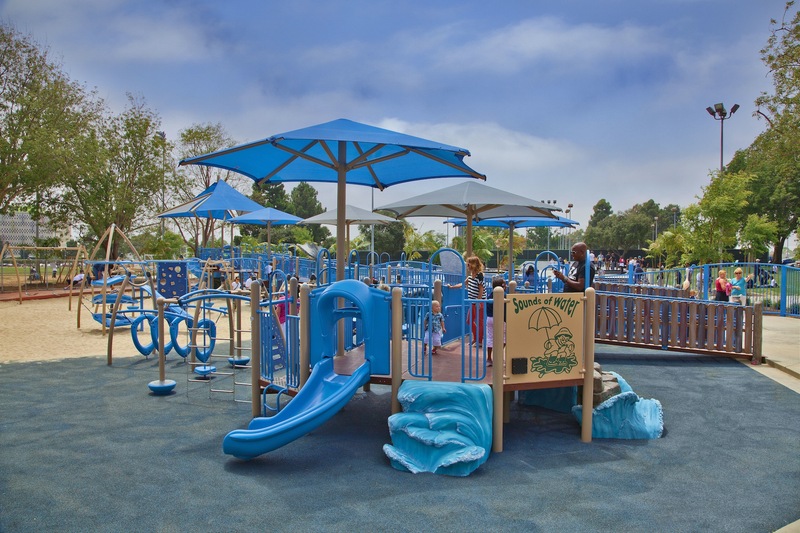 The Westchester Recreation Center in Los Angeles, California recently debuted a custom, inclusive playground from GameTime that beautifully integrates its geography and culture into the play space. These are community-building recreation areas that honor a city’s heritage, culture or vision...Westchester was our 97th PlayWorx project and there are many more on the horizon. Westchester Recreation Center recently debuted a new custom playground that reflects its unique geography, promotes play for children of all abilities and creates community pride and capital. The city worked closely with GameTime, whose cutting edge PlayWorx custom play program is re-imagining the landscape of play throughout North America. The City of Los Angeles contacted GameTime after seeing many of their custom playground projects, including “Everybody’s Treehouse” in Germantown, Tennessee. That project included a beautiful and inclusive treehouse for children of all abilities and contributed to the winning of the coveted “City Livability Award” from the U.S. Council of Mayors in 2011. 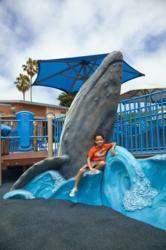 Working together, the City of L.A. and GameTime designed a custom play space featuring enormous whales, realistic sea birds and other sea animals with ramps and plenty of shade throughout the playground. The result is a beautiful example of how a community can come together to create an inclusive play environment for its families. The PlayWorx program was launched in 2007 to fulfill community visions for custom and themed recreation spaces. “We’ve been pioneering innovative play systems since 1929, but the PlayWorx program has really taken playgrounds to a whole new level. These are community-building recreation areas that honor a city’s heritage, culture or vision,“ says Tom Norquist, Senior Vice President for GameTime. “Westchester was our 97th PlayWorx project, and there are many more on the horizon. Cities and townships across the country are working with GameTime to design innovative, custom playgrounds with themes that are specific to their community." Doris Dellinger is the Product Manager for the PlayWorx program. She is thrilled with the result of the Westchester project and looks forward to working with more communities. Said Dellinger, “It is exciting to work with communities and hear their ideas and then make them a reality. We’ve created trees, birds, huge butterfly sculptures that show the process of metamorphosis, wild west towns and more. The only limit to this program is a community’s imagination." Ramps and shades make this inclusive playground comfortable and accessible for children of all abilities.